Sci-fi or science? 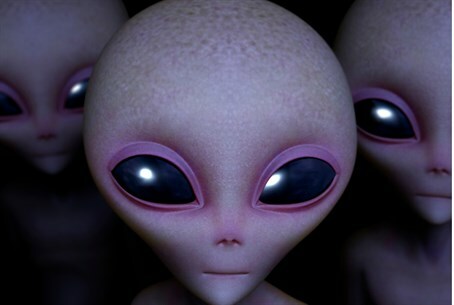 Head of NASA says proof of alien life just years away, top NASA administrator adds it will be found in our solar system. Little green men from Mars have been the stuff of movies and sci-fi fantasy, but apparently the top scientist at NASA gives credence to the idea that aliens exist - and she thinks we're just a few years from finding them. Speaking at an event last Tuesday, NASA chief scientist Ellen Stofan said "I think we're going to have strong indications of life beyond Earth within a decade, and I think we're going to have definitive evidence within 20 to 30 years," according to space.com. "We know where to look. We know how to look. In most cases we have the technology, and we're on a path to implementing it. And so I think we're definitely on the road," stated Stofan. Her assessment was shared by John Grunsfeld, a former astronaut who serves as associate administrator of NASA's Science Mission Directorate. "I think we're one generation away (from finding alien life - ed.) in our solar system, whether it's on an icy moon or on Mars, and one generation on a planet around a nearby star," Grunsfeld said, claiming there are aliens in our very solar system. Many astronomers have argued that the proper conditions to support life have not been found in the visible universe where greater sampling and testing is possible, and likewise signs of significant difference suggesting such conditions could be present are not seen in the observable universe either, which is too far to directly analyze. But Grunsfeld and his colleagues said recent discoveries indicate the presence of water on several planets and moons, which is one of several conditions needed for life. That point was stressed by Paul Hertz, director of NASA's Astrophysics Division, who called the Milky Way "a soggy place." "We can see water in the interstellar clouds from which planetary systems and stellar systems form. We can see water in the disks of debris that are going to become planetary systems around other stars, and we can even see comets being dissipated in other solar systems as (their) star evaporates them," said Hertz. But the scientists admitted that finding environments that could possibly support life is a much different and easier challenge than actually finding and proving the existence of alien life. Stofan and her colleagues said that in order to try and prove their claims that aliens exist, the next Mars rover which is to launch in 2020 will search for evidence of past alien life, and store samples for the possibility of a return to Earth. NASA is also hoping to put astronauts on Mars in the 2030s, an expensive and challenging endeavor which Stofan says is central in the search for possible signs of life on the planet. Farther afield, NASA's James Webb Space Telescope, which is to launch in 2018 and cost $8.8 billion, is to look for "super-Earth" planets in an attempt to find gases that may have been produced by living organisms. Will NASA find anything? That remains to be seen, but apparently its leadership is intent to spend a pretty penny to test their theory that we aren't alone in the universe.